In-line Flow Sensors are compatible with gases and liquids and contain a velocity pressure output for liquid or gas indication of flow rate. Used by being inserted in the pipeline through a compression fitting. Available is a portable kit that contains a differential pressure gauge which is suited for use as a read-out device. 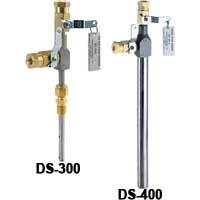 In-Line Flow Sensors are for compatible gases and liquids. 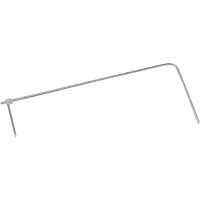 They provide accurate and convenient flow rate sensing. Designed to be inserted in the pipeline through a compression fitting. How many sensing points are there on a 6" DS-300 In-Line Flow Meter? The 6” DS flow sensor has 4 sensing holes. (3” and larger all have 4 holes, sensors smaller than 3” have 2 holes).